Some sources suggest Belfast sinks had overflows, whereas those designed for use in London didn’t, as water was in shorter supply, but there’s no firm evidence for this. 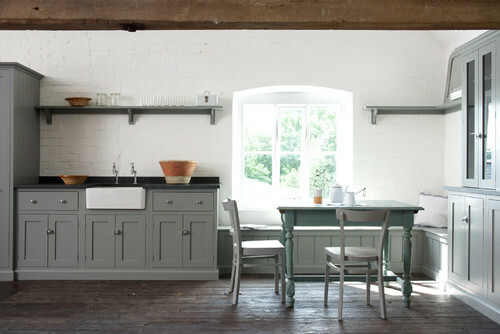 Discover more kitchens with Belfast sinks on Houzz. Taps have come a long way since the days of simple hot and cold spouts. 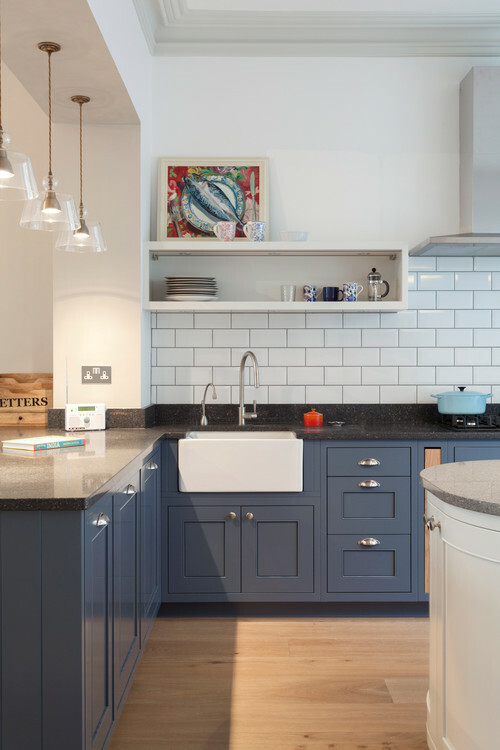 The monobloc mixer is a fancy name for a kitchen tap that dispenses hot and cold water from a single spout, so it can be mixed to the desired temperature and flow. Seamless sinks and surfaces are sinks that are moulded into the worktop while it’s being manufactured. 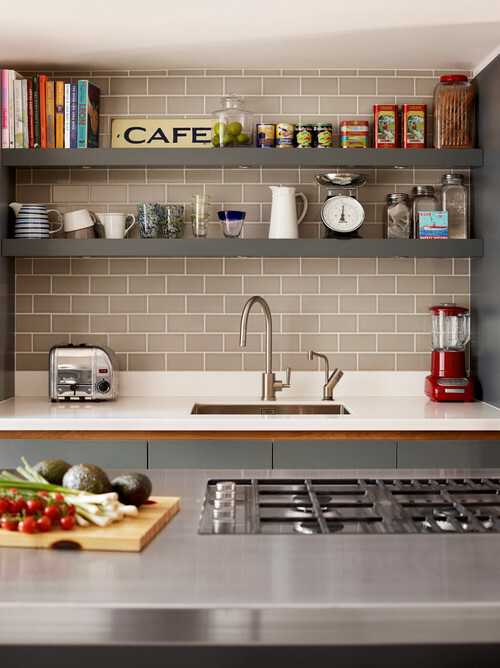 An all-in-one sink and surface is sleek and sophisticated for a 21st century kitchen. 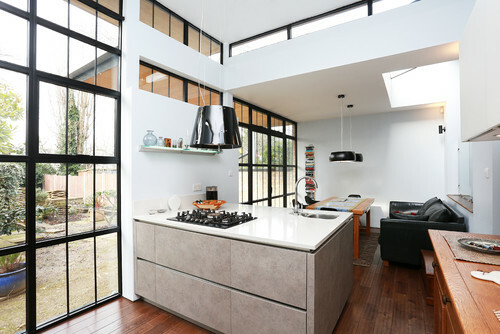 There are no joints or seams to harbour dirt or bacteria, and the designs can be thermoformed (heated and moulded) and cut to include moulded, one-piece splashbacks and drainer grooves. 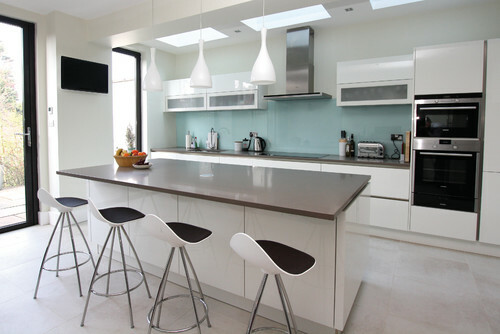 If you’re after this look, try an acrylic-based worktop, such as Corian. 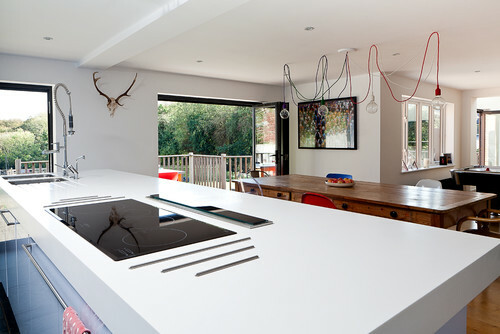 Induction hobs may look the same as glass-topped ceramic ones, but they function differently. Glass ceramic hobs provide heat through electrical heating elements under the surface. An induction hob uses circular copper coils beneath the glass. Electricity is passed through the coils, creating an electromagnetic field, which creates heat energy within the pan itself upon contact rather than heating it from the outside. It basically turns the pan into a cooker, rather than just heating up the pan. Induction hobs are quicker and more energy efficient (and so cheaper to run) than glass-topped ones, but they’re also pricier to buy. 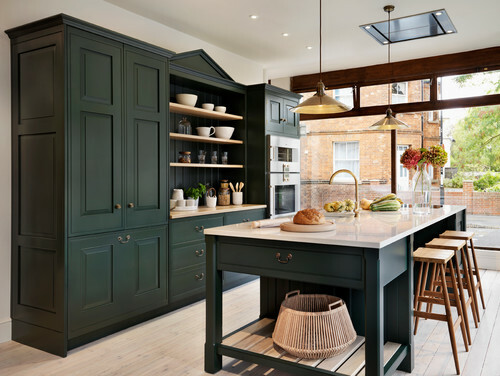 Put simply, a composite worktop is made of ‘engineered stone’ – a mix of natural quartz particles, additives and pigments to create a beefed-up, man-made version of stone, which is hard-wearing, easy to care for and available in a huge range of colours and thicknesses. 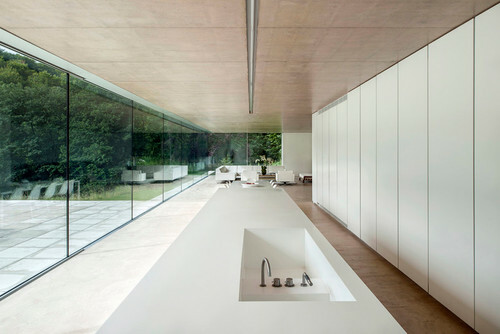 A peninsular unit is an additional worktop that juts out from a run of wall units, or simply from a wall. It can be kitted out with appliances, extra storage and dining facilities, and it can also help to create a practical and ergonomic L or U-shaped layout. 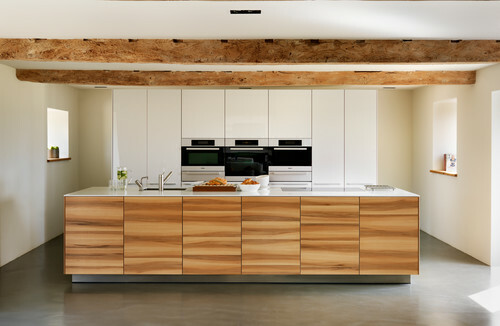 Think of it as a kitchen island that’s attached to the wall units or wall. Task lighting, which is designed to help you perform tasks better, is important in a kitchen, but don’t forget about accent lighting, too. Accent lighting focuses on a particular area or object to highlight it and create an inviting atmosphere.